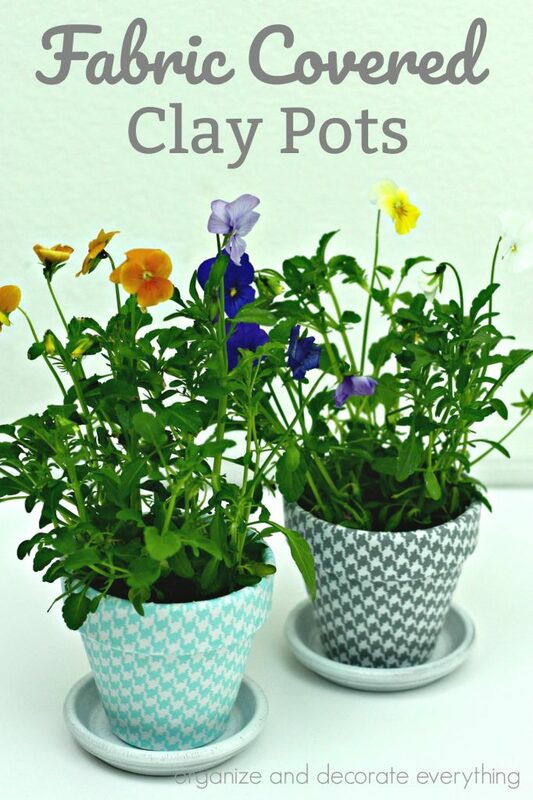 Make these easy and decorative Fabric Covered Clay Pots in only 15 minutes. 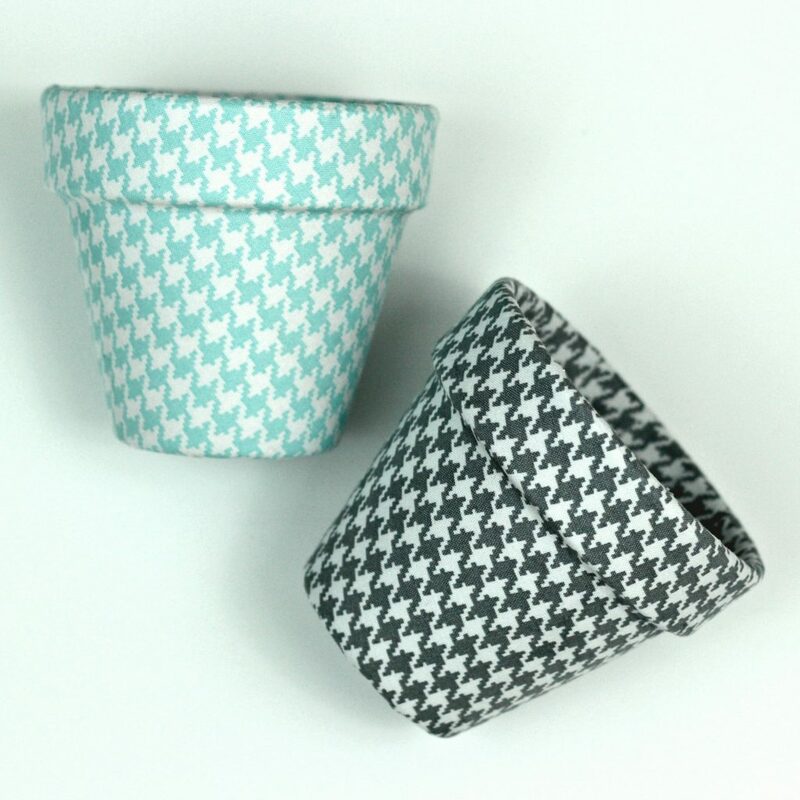 I wanted to add a touch of Spring and soften the rough clay pots so covering them with fabric seemed to be the perfect solution. 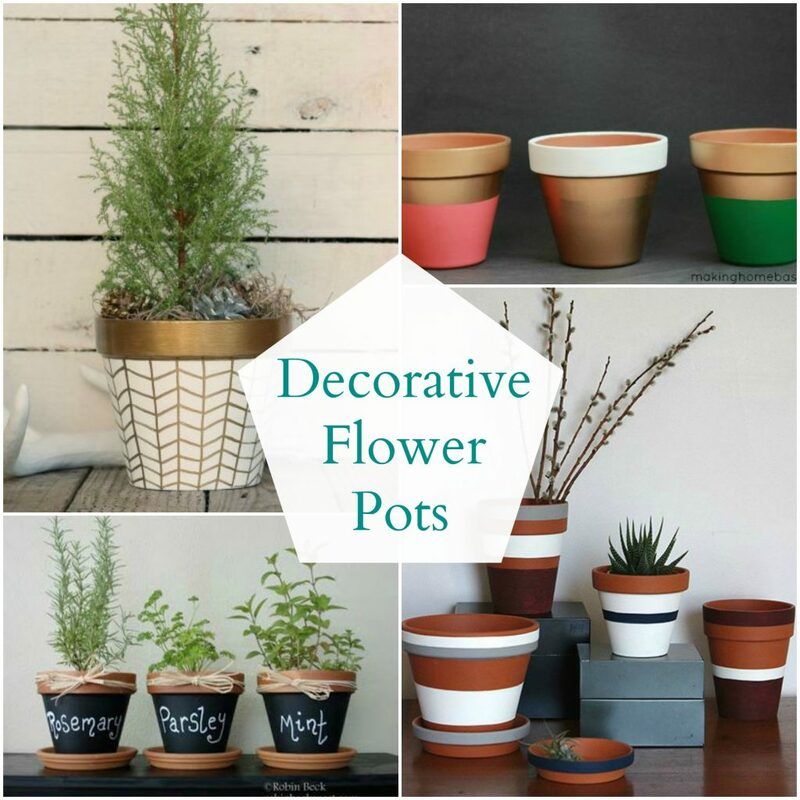 It really was an easy project and each pot took less than 15 minutes to complete. I’m ready to make a few more. You don’t need to paint the pots but the fabric I chose is light and the color of the terracotta was showing through. 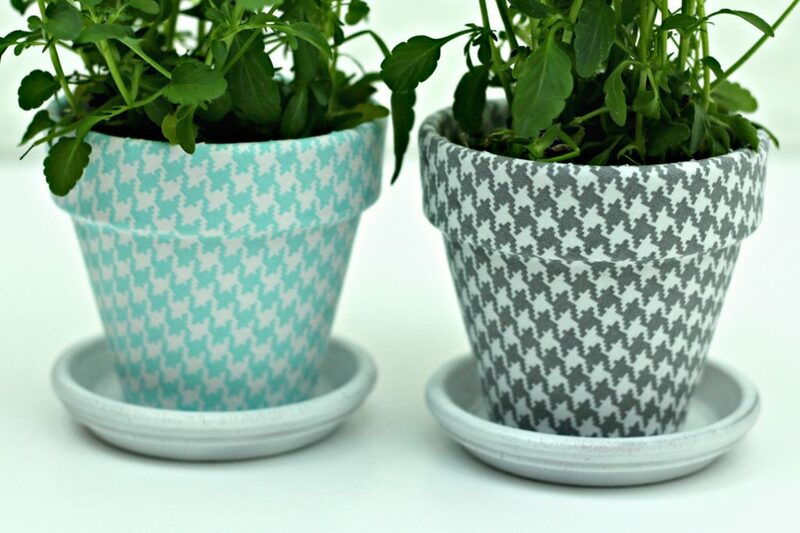 Apply a light coat of white paint if you are worried about the dark color of the pot showing through the fabric. If not, then you can skip this step. 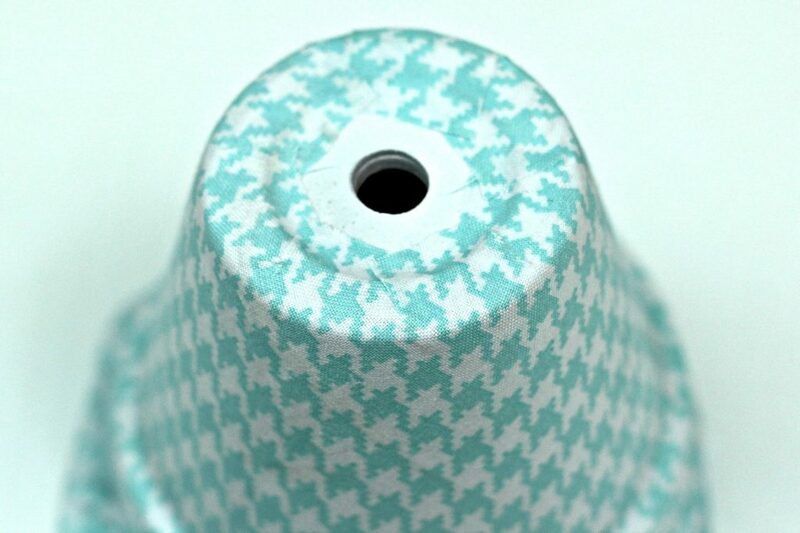 To measure the fabric, make sure the fabric goes all the way around the pot then roll the pot over the fabric and cut on an curve as you roll it. 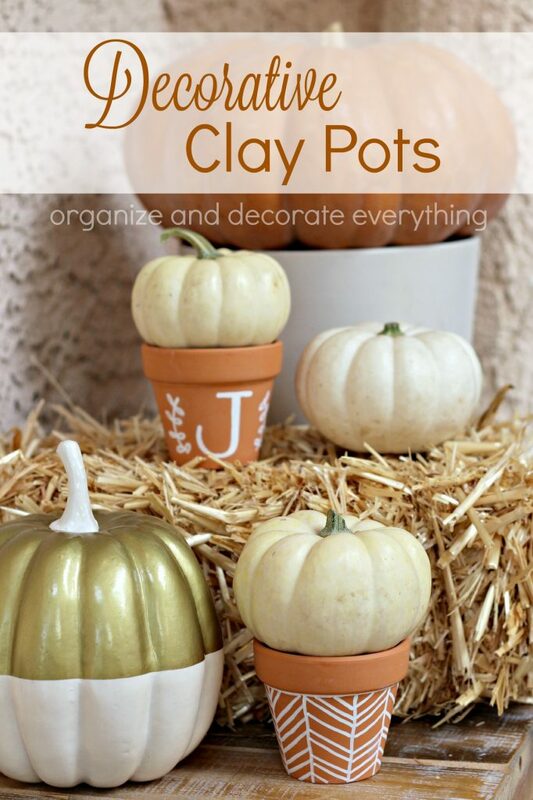 Once you have cut one you can use it as a template for the others (as long as the pots are the same size). 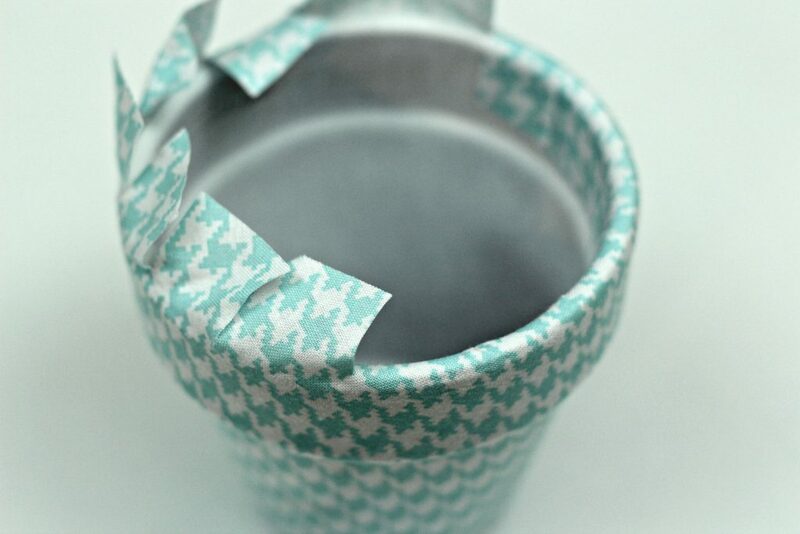 Brush decoupage on the pot a section at a time and apply the fabric by smoothing it in place. It goes on very easily and it’s easy to smooth the fabric. I did it in 4 sections making sure the fabric was securely attached to the pot everywhere. 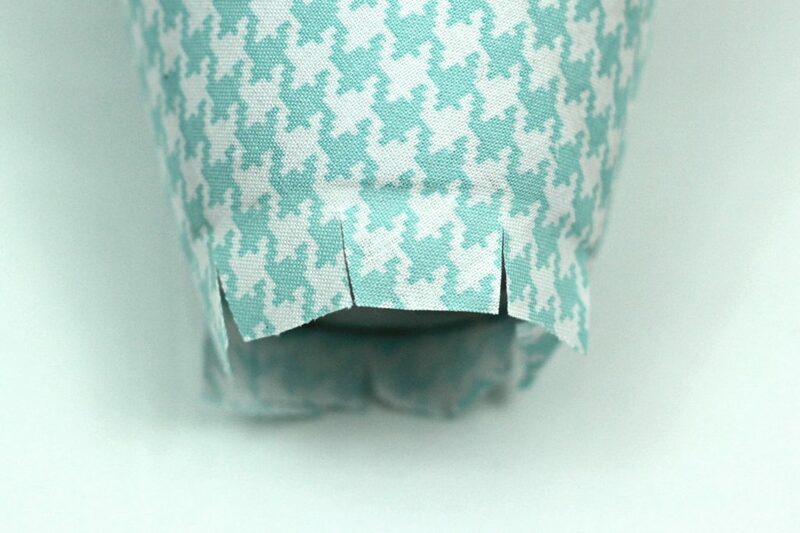 Cut the excess fabric off the bottom of the pot leaving about a 1/2″ to fold under. 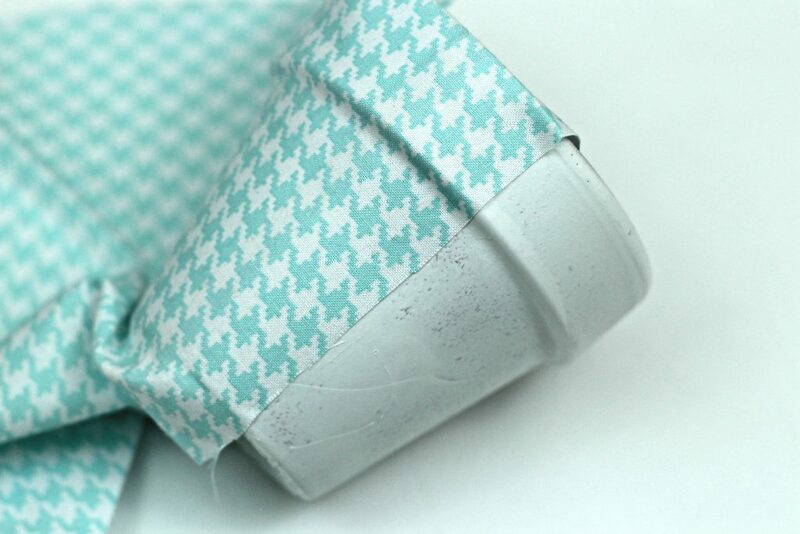 Cut slits about every 1/2″ to make it easy for the fabric to lay flat on the bottom. 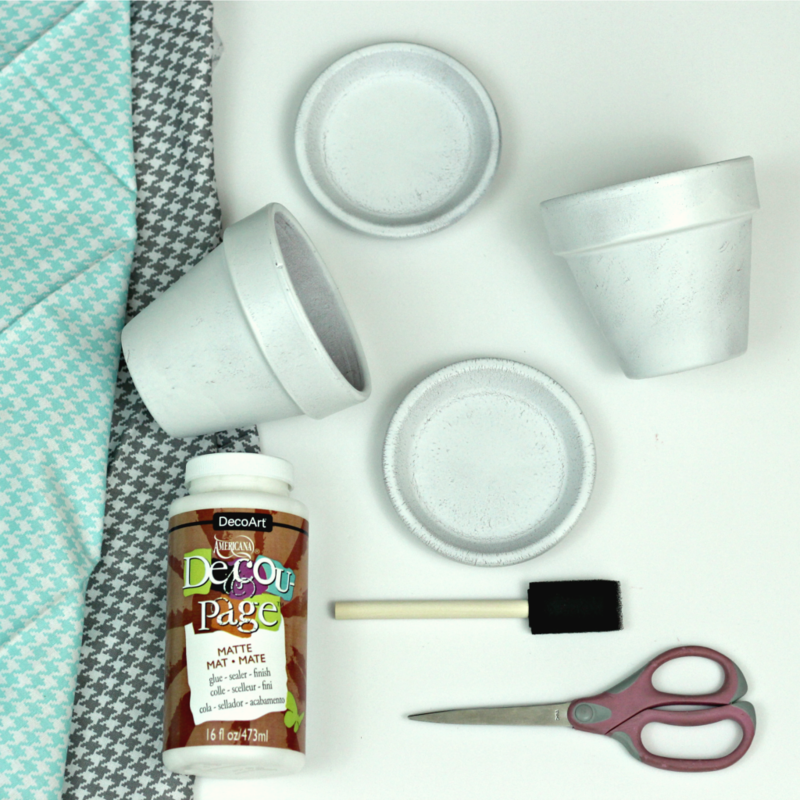 Apply decoupage to the bottom of the pot and secure the fabric pieces into place. 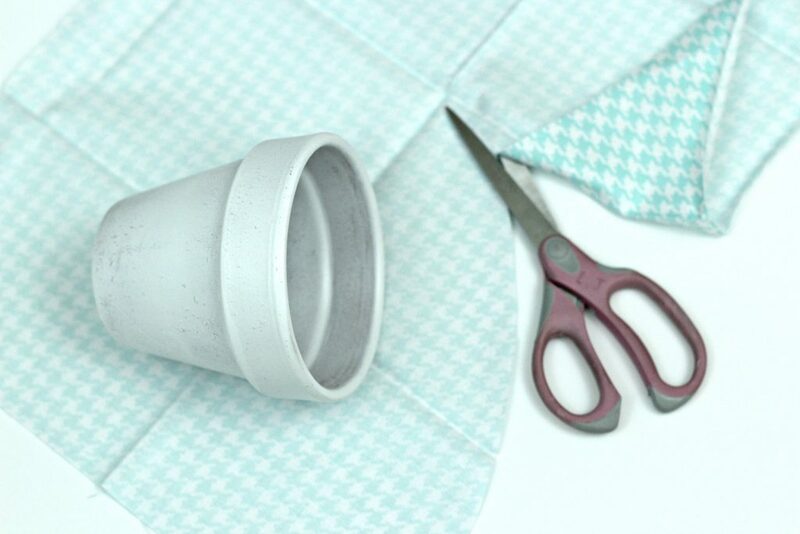 Do the same to the top of the pot by cutting off the excess fabric then cutting slits in the fabric to help it lay flat as it’s wrapped around to the inside of the pot. Decoupage the fabric pieces into place. 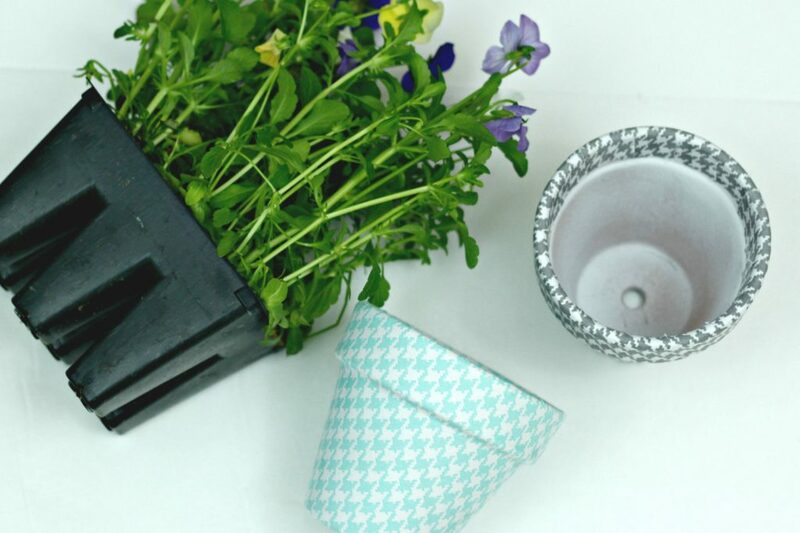 Apply decoupage to the outside of the pot to protect it from water and soil. Now for the fun part of adding the Spring flowers. You could also plant herbs or succulents. You could also use them on the desk to hold supplies, the bathroom to hold make-up brushes, or the kitchen to hold eating utensils. I left the saucers lightly painted white. These would also make a nice neighbor gift or Mother’s day gift. I am excited to be participating in Craft Lightning again this month. 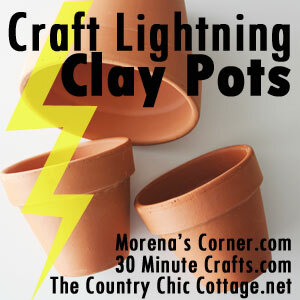 To check out more Clay Pot projects click on the Craft Lightning button. Yes! 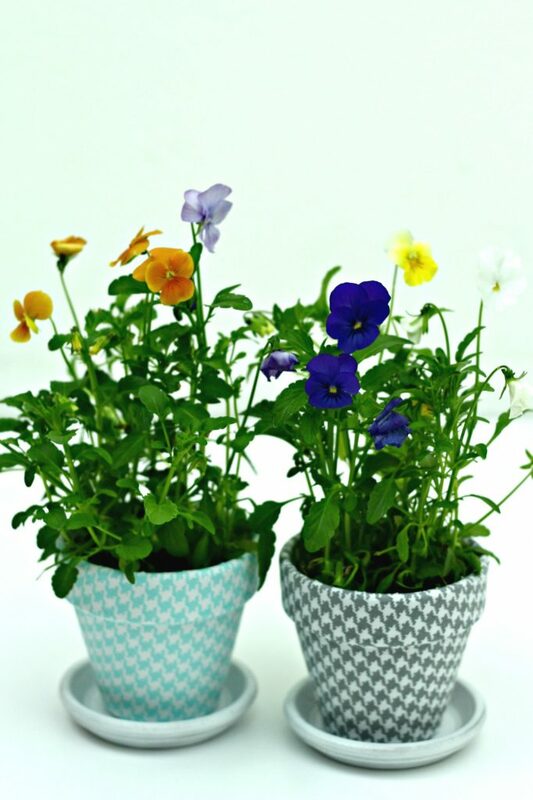 They would be perfect for Mother’s Day! Thanks for joining!